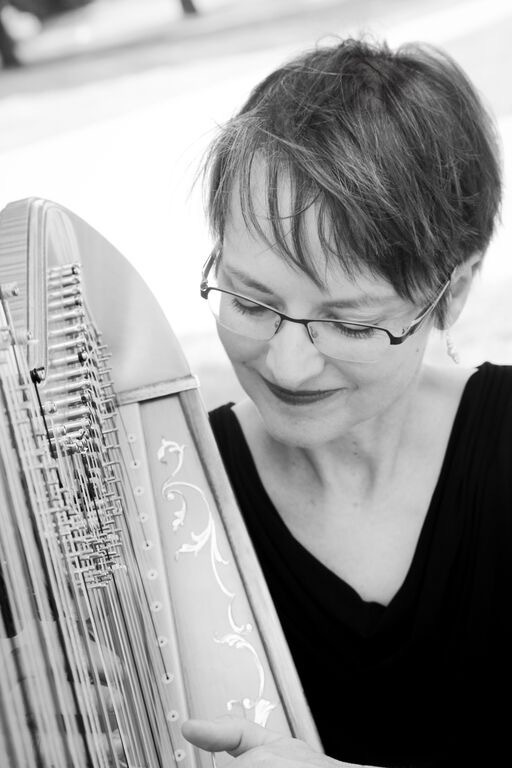 Professional harpist, Mary Keppeler, has a thriving free-lance harp business, playing for weddings, receptions, private parties, funerals, corporate and charitable functions. She is also active as an orchestra and ensemble harpist. Some of her clients for private functions have been the American Cancer Society, American Club, Boston Store, Culver’s Corporation, Elmbrook Church, Medical College of Wisconsin Graduate School of Biomedical Sciences, Milwaukee Art Museum, Milwaukee Athletic Club, Milwaukee Brewers Corporation, Walgreens Corporation, and Waukesha Symphony Orchestra. She played for Afternoon Tea at Milwaukee’s elegant and historic Pfister Hotel from 2005 until 2013 and then again from 2016 to 2017. In addition to solo harp engagements, Mary is active as a free-lance orchestra and ensemble harpist and is the principal harpist for the Manitowoc Symphony Orchestra. Other performances include those with the Beloit Janesville Symphony Orchestra, Carroll University Wind Symphony, Concord Chamber Orchestra (Milwaukee), Dudley Birder Chorale (Green Bay), Edgewood Chamber Orchestra (Madison), Green Bay Symphony Orchestra, Sheboygan Symphony Orchestra, Southwestern Suburban Symphony, Lutheran A Capella Choir (Milwaukee), Milwaukee Master Singers, South Shore Chorale (Fond du Lac), Voices in Harmony (Crystal Lake, IL), Cluj Opera Chorus (Romania), Tokyo International Singers (Japan) and Mannheim Steamroller. Mary also performed with pianist Ingrid Hanson-Popp and soprano Susan Wiedmeyer in a trio called In One A Chord; together they recorded two CDs. Theater work includes 22 performances of The Fantasticks with In Tandem Theatre (2018). Special projects include playing the stunt harpist for a short film entitled, The Harpist, which premiered at the 2014 Milwaukee Film Festival. Recording projects also include a segment about the harp for the children’s Christian TV program called The Fred and Susie Show (2013), and former UWM student Janalyn Gordon’s music which aired on MPTV (2010). Mary has also played in an Art to Art performance at Danceworks. For over fifteen years, she lived overseas (Japan, Austria and Romania.) During her time in Romania, she was able to contribute to recordings on three CDs, play for live radio and play for various public functions including one for the U.S. Ambassador to Romania. Mary Keppeler has been playing the harp since the age of eleven. Musical training and harp education for Mary included years studying with Betsy Dahl in Burlington VT, Nyle Hallman (formerly with the Don Ho Show) in Honolulu, HI, National Music Camp in Interlochen, MI, Danis Kelly (principal harpist with the Milwaukee Symphony Orchestra) in Milwaukee, WI, and Alice Chalifoux of the Camden, Maine Summer Harp Camps. She holds degrees from Hope College and Case Western Reserve University.